When Mountain Brook met Tuscaloosa County on the football field last fall, the Spartan’s head coach, Chris Yeager, watched as 10 of his defenders ran to shut a play down. The only one not running to the ball was team-leader and middle linebacker Will Wetzler. But he didn’t have to take off running to the ball. It was coming to him; the handoff had been a misdirect. Will Wetzler. Journal photo by Emily Williams. That play helped the Spartans secure the school’s first shutout victory against a regional opponent since 2012. The playmaking tendencies Wetzler demonstrated in that game also earned him a spot as one of 37 seniors chosen to represent the northern half of the state in this year’s North-South All-Star game, to take place July 20 at 7 p.m. in Montgomery’s Cramton Bowl. Other OTM athletes joining Wetzler on the All-Star Team are Patrick Nuss, Vestavia Hills; Ricardo Palau, Hoover; and Larry Wooden, Spain Park. Months later, Wetzler is quick to downplay the moment his coach still recalls so vividly. The coaching staff had alerted the defense to be ready for that play. He was just doing his job when he stayed with the quarterback and shut the play down, he said. When asked why he didn’t fall for the fake along with his teammates, his head coach and likely plenty of the spectators, the linebacker said he just had a feeling in his gut. Well, there also might have been one little detail he noticed before the snap. Before the season began, a different attitude from recent years took hold of Mountain Brook’s team, especially the senior class. Back-to-back 3-7 finishes had left a bitter taste, one Mountain Brook rid itself of with an 8-3 record that put the Spartans back into postsea- son play for the first time since 2013. 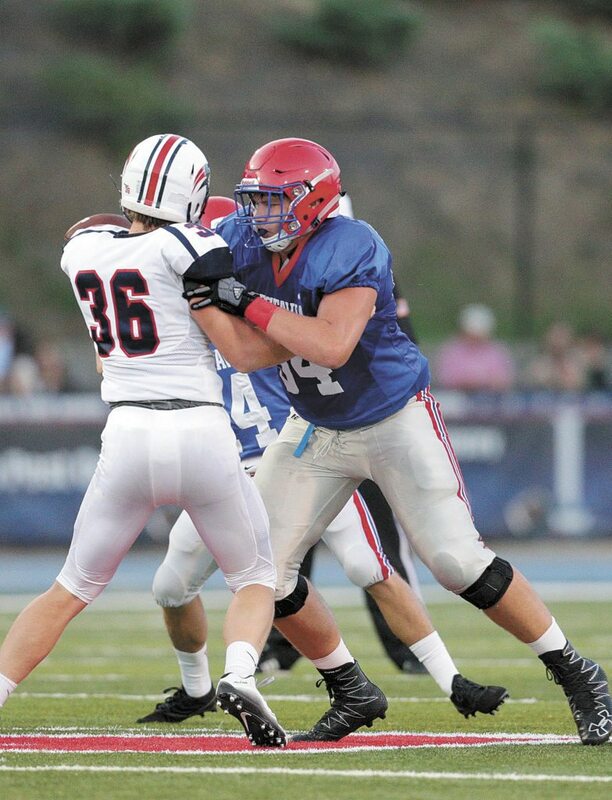 In the fall, Wetzler and his teammates on the defensive side held opponents to 151 points in the regular season. During the recent 3-7 seasons, the Spartans gave up more than 220 points each year. Wetzler, for his part, is quick to redirect praise to the rest of the seniors on the defense, the offensive line and the selfless attitude the team adopted during the 2016 campaign. Yeager believes it was Wetzler’s servant-like approach with the team that gave him influence over the Spartan’s program. The coach witnessed his middle linebacker show a genuine interest in the lives of his teammates, and believes Wetzler did what he could to encourage their growth as both football players and young men. This isn’t the first time Rob Wetzler has heard this sort of praise directed toward his son, and, like his son, he can’t help but rattle off a list of names, including Yeager and members of the Spartans’ recent senior class, who helped his son reach this point. Between the plays Wetzler made on Friday nights and the way he carried himself the rest of the week, it would seem the next class will have big shoes to fill. For his part, Yeager, isn’t worried. “(Will Wetzler’s) legacy will be that, ‘I didn’t just do my job, but while I was there I trained people.’ … I believe the best thing he has done is he left people in his place that can stand up and fill the gaps,” Yeager said. Back when the season was still visible in the rearview mirror and National Signing Day was just around the corner, Will Wetzler received some disheartening news. The cycle of the ever-spinning college football coaching carousel took his primary recruiter out of play at Wake Forest. 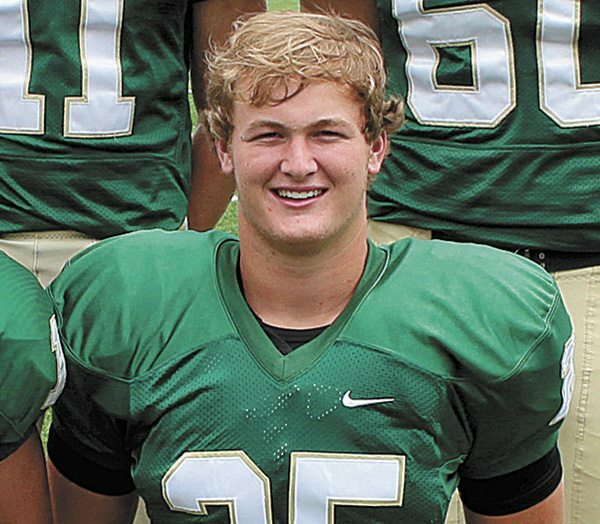 The coaching change put the Demon Deacons with the other Power Five schools, including Alabama, that the Wetzlers spoke with during recruitment; the interest was there, but the middle linebacker’s sub-six-foot frame took a scholarship off the table. That late in the game, it was hard to find other schools with scholarships available. It would have been a serious blow for anyone, but Rob Wetzler said his son took the news better than he did all the time. Football was never the final destination for the linebacker anyway. He’s had his sights set on medicine for awhile now. It started when he was young and heard stories of how his grandfather, a heart surgeon, saved lives. His decision was only reinforced when he had his fair share of back pain during his high school career. Both his dad and his coach believe the doctor-to-be will make the most of his stint on the North team. In fact, Yeager doubts he’ll be able to spot a player enjoying the game more than his former linebacker.